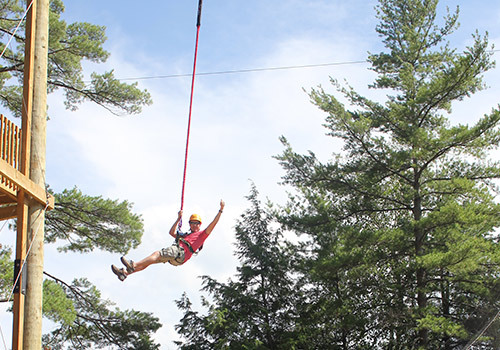 Launching from a platform located 45’ up in some of the Village’s biggest and most beautiful White Pines, guests will have the opportunity to ride 7 zip lines for close to 1000’ of heart pounding adventure. 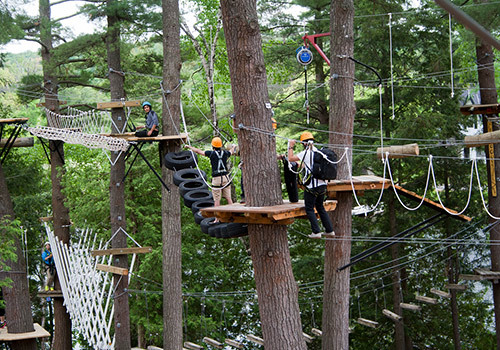 The chance to zip through tree tops makes this a really unique adventure as you can experience Santa’s Village from a birds eye view. 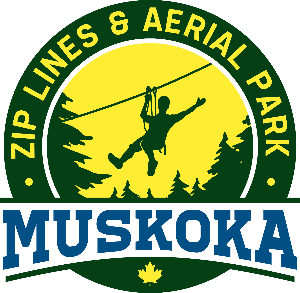 After a half hour orientation where you learn to use the equipment and complete 2 practice zips, you’ll head up the Jump Tower with your guide to access the first of the 7 zip lines. 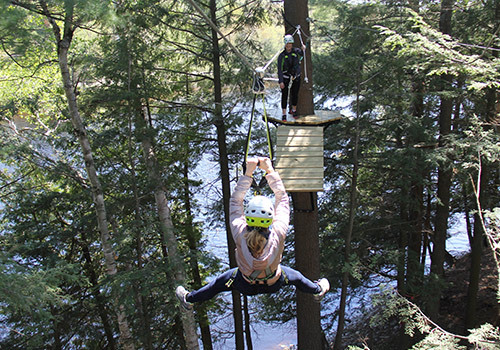 Make sure you have a camera for this stunning view as you zip alongside the Muskoka River! Tours of 8 people depart with a guide every hour. We strongly recommend reserving your space in a tour using our online registration system. Walk-ups are welcome but you may have to wait for available space. Approximately 1 hour depending on group size and athletic ability.